A new book shows the effects of not getting enough sleep are much more serious than just a groggy state of mind. Matthew Walker, the director at University of California, Berkeley’s Center for Human Sleep Science, has released a book examining the connection between sleep deprivation and various major health problems. The book, titled “Why We Sleep: The New Science of Sleep and Dreams”, studies the positive and negative effects of sleep. Walker noted that humans are the only species that choose to skip sleep for various reasons. Walker said, “No one would look at an infant baby asleep, and say ‘What a lazy baby!’ We know sleeping is non-negotiable for a baby.” Both Margaret Thatcher and Ronald Reagan were said to survive on a few hours of sleep each night. It is worth noting that both of them developed dementia in later life. Walker hopes that people will try harder to get enough hours of sleep every night once they know the link between these issues and sleep deprivation. Walker also recommends setting specific time for getting into bed and waking up. This will help the body get into the rhythm of a sleep routine. The brain is actually very active while we are sleeping, with vast amounts of memory processing is going on. There are many scientists researching sleep and its importance to the human body. 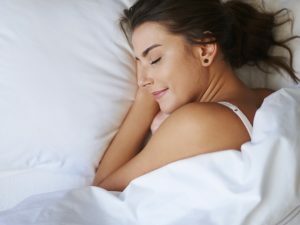 A new Mayo Clinic study and a Penn Sleep Center study both focus on sleep and its effects on humans. Unfortunately, sleep deprivation is not yet being taken seriously by employers or the government. It is up to us to ensure that we are getting enough sleep each night.